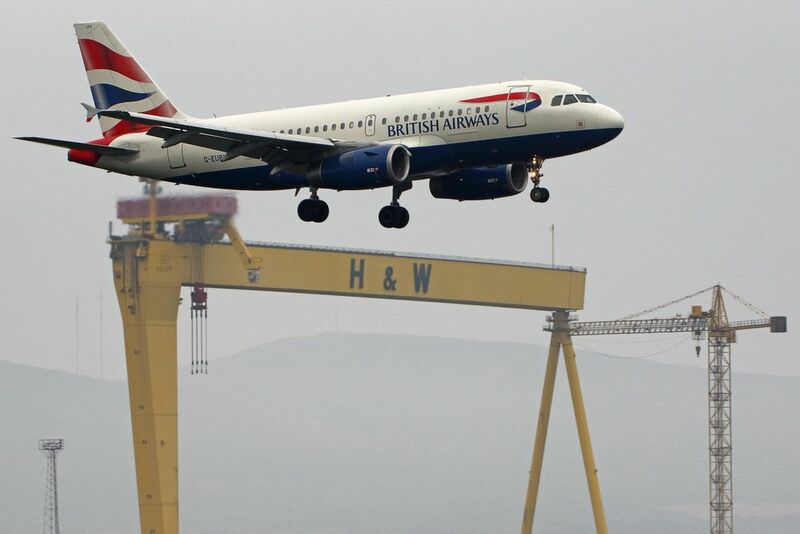 British Airways Airbus A319 coming in to land with Belfast's Harland and Wolff's iconic crane in the background. This shipyard is the home of the Titanic and her sister ships. Date Uploaded: Nov. 1, 2016, 10:32 a.m.